Lack of access to sanitation cost the global economy US$222.9 billion in 2015, up from US$182.5 billion in 2010, a rise of over US$40 billion in just five years. This figure constitutes an average 0.9% of gross domestic product (GDP) of the countries impacted by poor sanitation, which is a modest decline from 1% of GDP five years ago. 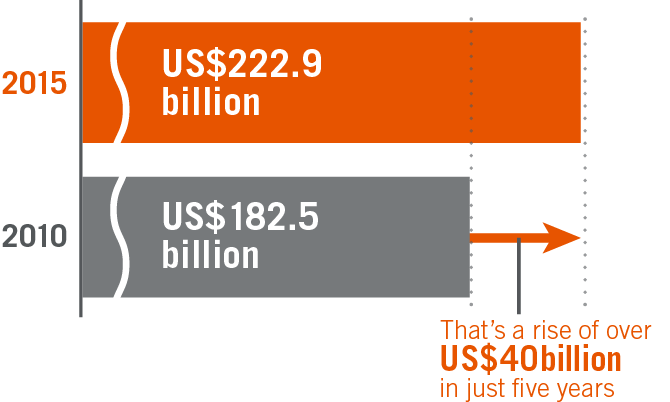 Regionally, in terms of total US$ value, the economic burden of poor sanitation is heaviest in Asia Pacific, which is accountable for a cost of US$172.3 billion, over 3/4 of the total amount. 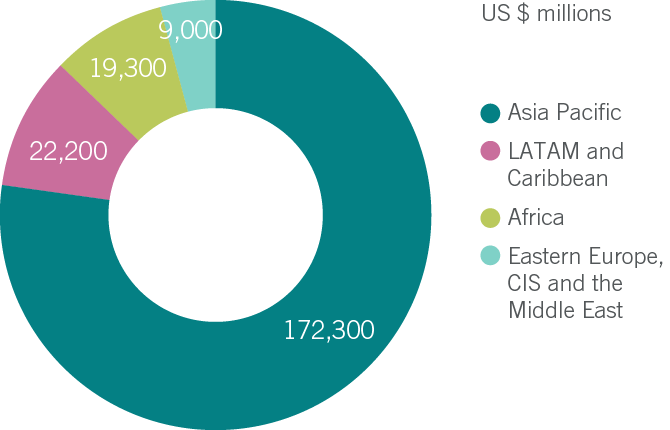 Latin America and the Caribbean, and Africa account for approximately 10% of the global cost each, with costs in Latin America and the Caribbean being US$22.2 billion and US$19.3 billion in Africa. Combined, Eastern Europe, the formerly Soviet states and the Middle East account for the remaining US$9 billion of the global cost of poor sanitation. In terms of losses to regional GDP, Asia Pacific suffers the greatest losses at 1.1% of GDP. 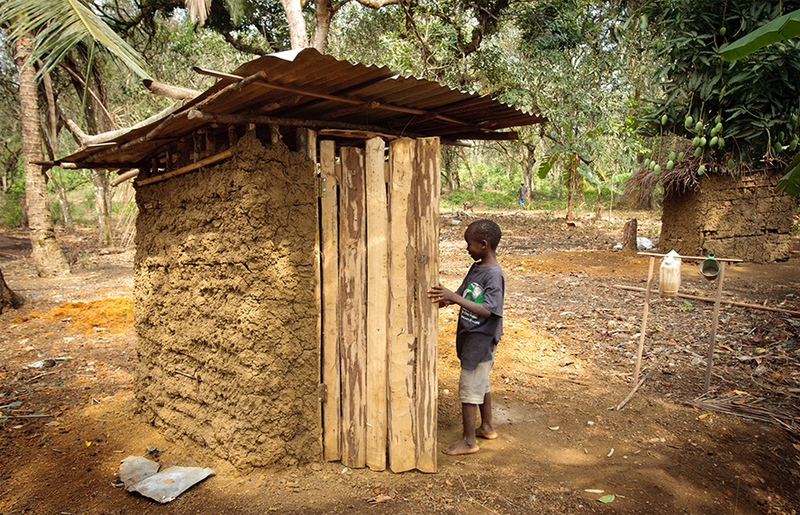 The impact on African GDP caused by poor sanitation is a loss of 0.9%, in Latin America and the Caribbean it is 0.6% of GDP and 0.4% in Eastern Europe, the formerly Soviet states and the Middle East. On a national level, in terms of total cost, India suffers by far the most, with US$106.7 billion wiped off GDP in 2015, almost half of the total global losses, and 5.2% of the nation's GDP. While India comes out top with huge losses in both total US$ economic losses and as a % of GDP, the rankings of countries by GDP and total US$ diverge significantly due to the relative size of national economies, as shown by the tables on the facing page. Costs are high in the Asia Pacific region as this is by far the most populous region. Latin America and Africa account for a further 10 percent. The research found that cost as a share of GDP declines with income, but that the relationships far from uniform. 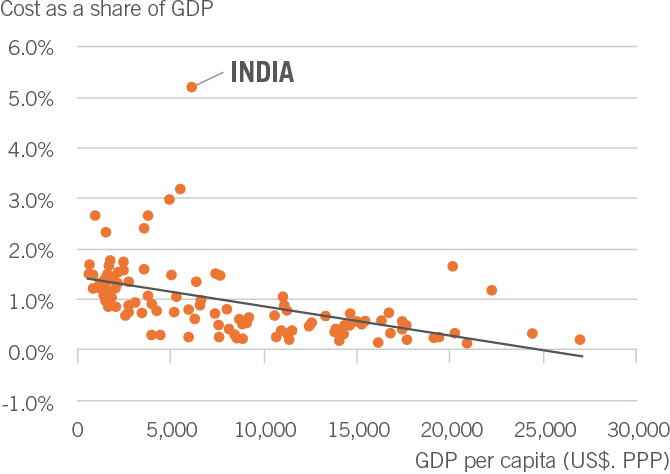 India was found to be a clear outlier, where cost as a share of GDP was significantly higher than other countries covered in the study.